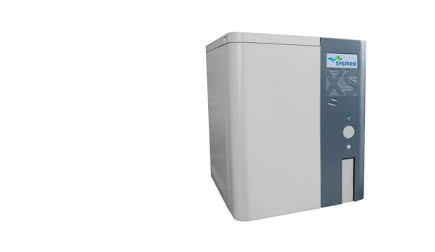 Fluorescent flow cytometry and advanced cell counting in a space-saving footprint makes the Sysmex® XS-Series Automated Hematology Analyzer an excellent choice for laboratories that have smaller sample volumes. Available with and without an auto sampler, the XS-1000i offers 21 testing parameters and closed tube sampling to assure operator safety. It requires less than four feet of counter space and uses only 20 µL of sample. The Sysmex XT-2000i offers medium volume laboratories an affordable, reliable automated system to meet their needs for efficient hematology testing. The analyzer has a second fluorescent platelet method, PLT-O, on-board to help resolve platelet flags and minimize manual counts. Reticulocytes are fully automatic and require no pretreatments or testing delays. Body fluid samples, including CSF, serous fluid and synovial fluid, are analyzed for RBC and WBC counts. 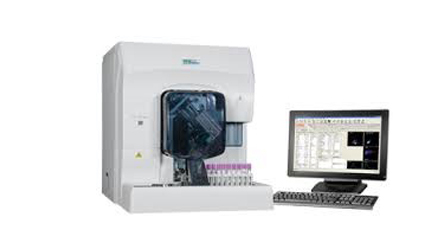 The XT-2000i streamlines your workflow by providing testing for up to 80 samples per hour, enabling rapid turnaround time of results.